The perfect compliment to your Cinco Jotas ham. 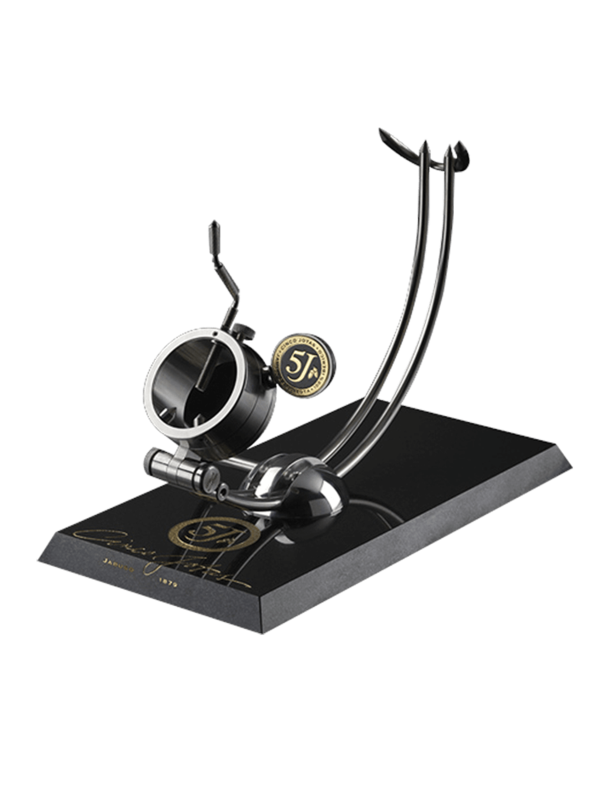 The premium Cinco Jotas ham stand provides distinguished support in stylish black granite. The stylish black granite base of this stand displays your Iberian ham in distinguished elegance. It supports multiple positions; allowing the ham to be positioned both vertically or horizontally according to the needs of the ham carver. The incredible accessory keeps the ham in the ideal position at all times to proceed with the most optimal cut.